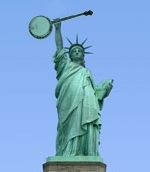 You must sign into your myHangout account in order to contact PacificBanjo. PacificBanjo has 19 friends. View entire friends list. Right now I play a cheap, beginner banjo. Earl Scruggs, Don Reno, J.D. Crowe, Ron Stewart, Ron Block, Bill Monroe, Sonny Osborne, Sammy Shelor, Steve Martin, Nick Hornbuckle, Blake Williams, Cherryholmes, John Prine, Alison Krauss. I just started playing banjo, and love it. 3-finger Scrugg's style.